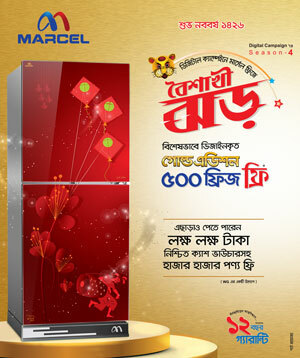 Staff Reporter: The Bangladeshi multinational electronics brand ‘Walton’ is preparing a road map to be the best brand in the international through manufacturing global models’ fridges. Under the road map, Walton formulated long-term working plans like arranging international conferences to share technical knowhow with the foreign experts of the electronics sector, taking part in both the world’s prestigious competitions and international fairs in the potential countries etc, which will be implement step by step. Already, the local electronics giant has arranged a two-day long international conference at the conference room of Walton Hi-Tech Industries Limited at Chandra in Gazipur on 22nd and 23rd December last. Along with the foreign experts in design and mould manufacturing sector, the conference were attended by engineers and representatives of various departments of Walton like Refrigerator Research and Development (RnD), Quality Control, Production, Sourcing Engineering, Chemical RnD, Mould and Die Production, Injection Moulding, Process Development, International Business Unit. Abdur Rouf, first senior additional director of Walton and also convenor of the international conference, said that the attended national and international designers and engineers of the electronic sector discussed on the production of global models’ fridges with world’s latest technology, quality improvement, creative designs, increase of price competitiveness and so many relevant issues. The attended national and international designers and engineers in the two-day long international conference at the seminar room of Walton Hi-Tech Industries Limited at Chandra in Gazipur on 22nd and 23rd December last are seen in the photo. He added, the participants propounded various timely and realistic directions in terms of manufacturing world’s giant or global models’ fridges. 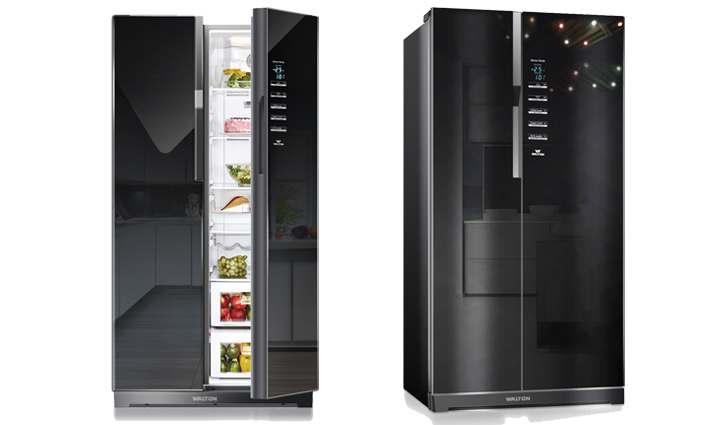 He also informed that Walton set a target of securing the world’s some prestigious awards like ‘iF Design Award’ and Red Dot Design Award’ in next year through manufacturing the global models of fridges. Edward Kim, president of International Business Unit of Walton Group, said, Walton is undoubtedly the top brand in the Bangladeshi electronics market. “Now, it’s time for us to go for turning Walton into the global best brand with the best products,” saying it he added that the two-day long international conference was like the launching ceremony of the Walton’s journey of becoming the best brand with global models’ products in the international electronics market. He also noted, they are trying to nurture Walton brand presence in the international market through sustainable partnership with customers through exporting products under their own brand logo as well as OEM (Original Equipment Manufacturer) business. These two approaches, along with the new concept and innovation, will turn Walton into the global player step by step,’ Kim believes. Uday Hakim, deputy executive director of Walton Group, said, ‘Made in Bangladesh’ labelled Walton products is being exporting to different countries of the Asian, Middle Eastern and African regions. Now, Walton have greatly focused on exporting to the potential markets of the world’s developed nations like Australia, America and Europe, he added. Targeting the global market, Walton is participating and showcasing its products and services in many international business conferences, trade fairs etc. Walton already took part in Canton Fair in China, Logos Fair in Nigeria, Electronic Fair in UAE and Kenya (KITE); most recently Chillventa Exhibition in Germany and now planning to attend world’s popular consumer electronics festivals including IFA fair in Berlin and CES in Las Vegas.